Mumbai-based developer of the social commerce platform Trol.ly, Adepto Solutions Pvt. Ltd. has raised $ 300,000 (~Rs 1.3 crore) in its Series A round from seed fund Blume Ventures and a consortium of angel investors led by Rajiv Dadlani. The deal was closed last week and funds will be used for product development, hiring and business expansion. Adepto is headquartered at Mumbai, has a sales office in San Francisco and a development centre in Hyderabad. It employs 15-20 people across these centres and has roped in 2-3 ex-Google employees for product development. Adepto has a product called Trol.ly and will use the funds to develop similar products on travel with the same theme. Karthik Reddy from Blume Ventures and lead angel investor Rajiv Dadlani have joined the company's board. Adepto was founded in 2010 by Kiran Kumar and Prem Pillai, ex-Google employees. At Google, Kumar helped set up the Direct Sales & Operations function while Pillai was a programs engineer and handled the API support for Google Checkout. Adepto also counts the CEO and co-founder of C2W Interactive Group Alok Kejriwal as its strategic advisor. The company offers online retailers the ability to run automated product engagements, showcase their products and engage their customers on social networks through its platform Trol.ly. Trol.ly leverages social networks and targets e-commerce firms, brands and corporate enterprises as clients. It uses Facebook's Open Graph as well as other semantic web protocols for social network integration with e-commerce sites. The company claims it does not capture any transactional data of the online retailer. 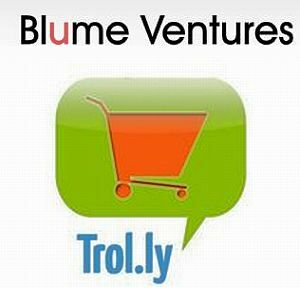 Trol.ly is being used by e-commerce portals such as Homeshop18, Buytheprice.com and Fernsnpetals.com. Dadlani told Techcircle.in that Adepto would now focus on large e-commerce firms in the USA. "The target now is the USA and West because of sheer volume of business and opportunities in these mature markets. Dadlani added that the company would simultaneously target SME online retailers. The revenue model for Trol.ly is a combination of a monthly subscription model and a percentage through affiliate commissions. Currently there are two pricing plans for the app â€“the standard plan costs $149 per month and does not offer building of custom product engagements and enabling of which products to show as well as complete integration capabilities, which are offered in the premium plan. The premium plan, which is priced at $299 per month, also offers 5,000 publishes from the retailer's order confirmation page compared to 2,000 in the standard plan. Adepto is offering a 30 day free trial for retailers. "Our investment partners bring a refreshingly fast-paced approach to early-stage investing â€“ taking a timely call and backing it up with immediate action. They have a fine understanding of e-commerce, social media and other verticals having already made several investments," said Kiran Kumar, CEO & Co-founder, Adepto Solutions. For consumers, the Trol.ly app on Facebook acts as an online loyalty/reward system and is free to use. After Trol.ly, Adepto plans to develop similar social commerce products for travel and the media and entertainment sectors. Blume Ventures recently invested an undisclosed sum in cloud computing provider E2E Networks Pvt Ltd. Blume typically invests between Rs 50 lakh to Rs 8 crore in start-ups and was founded by two Mumbai Angel members Karthik Reddy and Sanjay Nath. Reddy and Nath have invested in mobile advertising firm InMobi, hospital management solutions provider Insta, mobile enterprise and loyalty platform provider MobiQuest, imaging technology start-up Serial Innovations, mobile TV provider Apalya, and Chennai-based online travel agency Atyourprice.in. Karthik Reddy, Managing Partner, Blume Ventures said, "The burgeoning social networks already have around 1 billion registered and sticky users cumulatively i.e. more than 15 per cent of the world's population. Business leaders are increasingly trying to leverage social media into their businesses and benefit from it. The online retail industry is one among them, so Trol.ly couldn't have been launched at a better time." The Rajiv Dadlani group has a couple of co-investors who also belong to the Mumbai Angels network and the Indian Angel Network, India's two premier angel investment networks. Rajiv Dadlani, who also runs boutique investment bank Consort Capital, said, "In the Adepto team, we've truly noticed a spirit of action, technology focus, and a creative cheer that we feel are the special ingredients for success. We are looking at growing to $100 million in next five years." Dadlani has invested in 40 companies in the past decade including Onward Mobility, Insta, Apalya, Mobiquest and skills training firm TalentBridge.